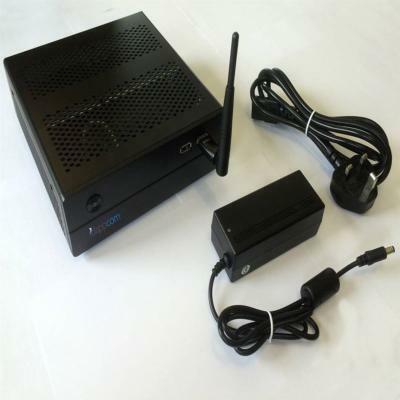 A business class Intrusion Protection System (IPS) that will protect multiple devices connecting to the Internet, specially designed for Small Business or Home Office use. This Protection service is implemented on our custom built BIPSY hardware platform, which comes with an additional Ethernet Interface Card to facilitate inline traffic filtering for wired-wired and wired-wireless network connections. Our experts are available to help customise your setup, or assist with fail-over configuration. Whilst your subscription is valid our Security Operations Centre keeps your BIPSY updated 24/7 with a comprehensive library of thousands of enterprise class protection policies. Tailored specifically for the Business user. They are the same high standard policies that we issue to large corporate clients and are not available in desktop antivirus systems such as Norton or AVG. The SOC will monitor your alerts, analyse the significance of any attacks that have been detected by your BIPSY, and offer expert advice as to what to do if a device on your network is suspected of being compromised. Our SOC personnel have forensic expertise normally associated with large enterprise networks, and they will keep your BIPSY protection policies up to date with the latest protection policy libraries. You will automatically receive hourly and daily updates from our experts. This reduces the risk of your devices being attacked by new and evolving exploits that were not known about when you first activated the service. You will need to provide a network cable of a length determined by the location of your router to your BIPSY.